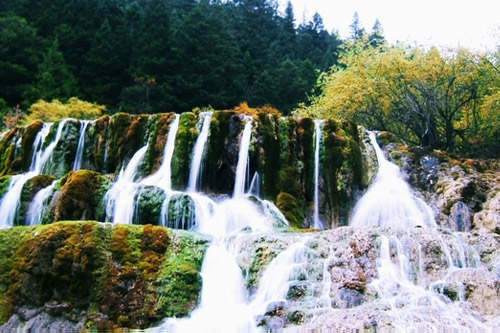 Neighboring the famous Jiuzhaigou Scenic Area, Huanglong (Yellow Dragon) Scenic Area is at the southern foot of Min Mountain in Sichuan province. 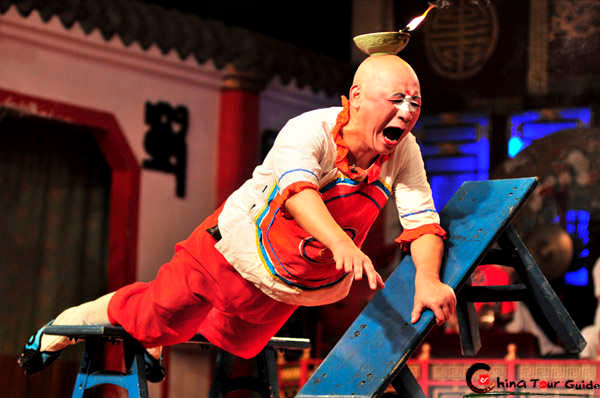 It includes Huang Long Valley, Danyun Gorge, Snow Treasure Peak, Zhaga Waterfall, and the Erdao Lake. Ethereal, snow-covered mountains, mysterious misty valleys, dense forests, and pristine lakes; you will see all of this natural beauty and much more in Huanglong. The most remarkable scene in the area is the Huanglong Valley, noted for its unique karst landscape. It is surrounded by snow-capped peaks and glaciers. 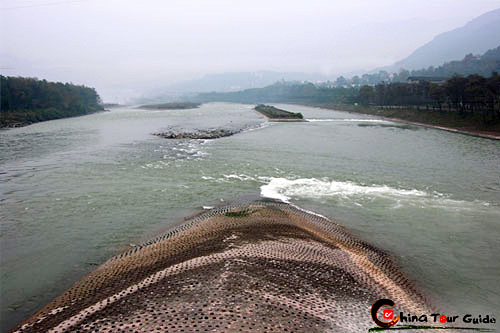 The main attraction of the valley is the 3.6-kilometer (2.2 mile) long and 30 to 70 meter (96 to 224 ft.) wide pale yellow calcareous deposits. 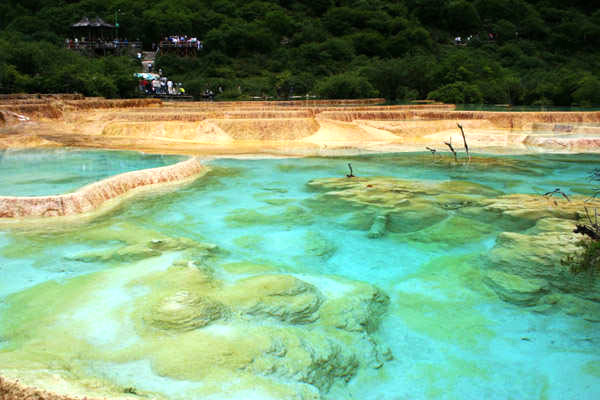 Multi-colored pool is the pick of the Huanglong Scenic Area. 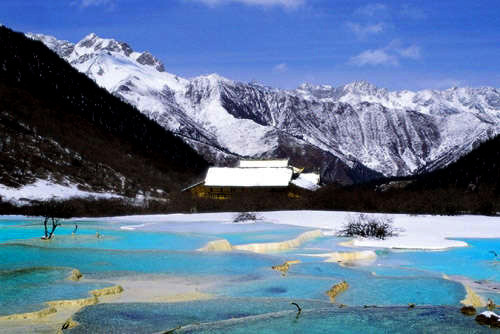 Huanglong is one of the best sight-seeing spots in the world. At the end of the valley, water from melting snow mixes with limestone water from underground and together flows down the mountain terraces, depositing the calcium carbonate on the rocks, stones, and fallen branches in its path. The calcium carbonate, in turn, develops into solid, low crystalline travertine banks and reacts chemically with organic and inorganic substances, resulting in various kinds of calcareous deposits that reflect a golden color. The calcareous deposit flows down the slopes like a monstrous yellow dragon flying down the snow mountain. The water flows into two separate streams, naturally begetting a group of colorful lakes and waterfalls stretching up the mountainside like a ladder. The water is crystal clear and the mineral deposits at the lake bottom look like jadeite and agate -- magnificent and beautiful. 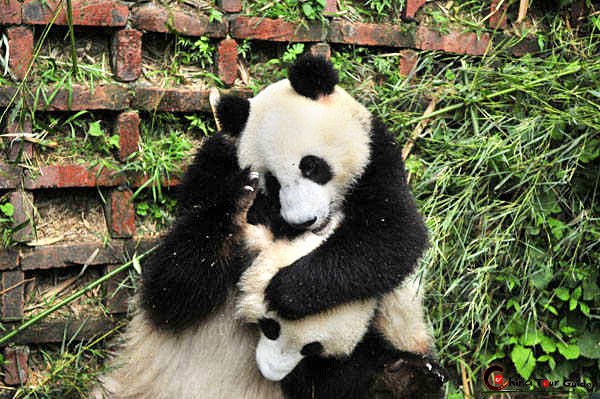 Aside from the ponds and mountains of Huanglong, an incredible bio-diversity of flora and fauna thrives there as well as spectacular limestone formations, hot springs, and caves. With so many wonderful views all in one place, Huanglong Scenic Area is thus reputed as "A Fairyland on Earth". 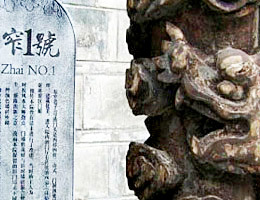 It is not only the treasure of China, but is also the treasure of the world. Waterfall is common sight in the Huanglong. 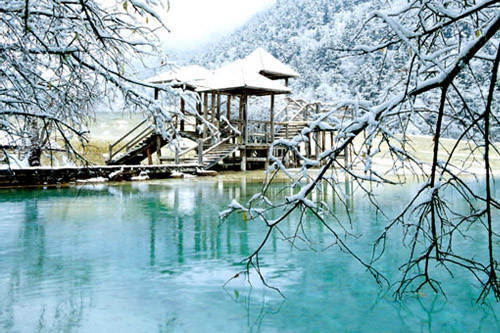 Huanglong Scenic Area is extremely beautiful in winter.